As I mentioned on Saturday, we are well and truly in courgette season, with plants starting to fruit prolifically. If you are a gardener that means you have a courgette-supply seemingly without end and are looking for more varied ways of eating them. If you are not a gardener then mid to late summer is the time to buy courgettes as they are full of flavour and very cheap. Today’s recipe is another quick and easy one, this time for a moist and lightly spiced Courgette Loaf. This is delicious for afternoon tea with lashings of butter. It is also healthy enough to justify serving for breakfast, either freshly made for a leisurely breakfast on a day off, or made the day before for a rushing-out-the-door grab-something busy day. 1) Preheat oven to 180°C. 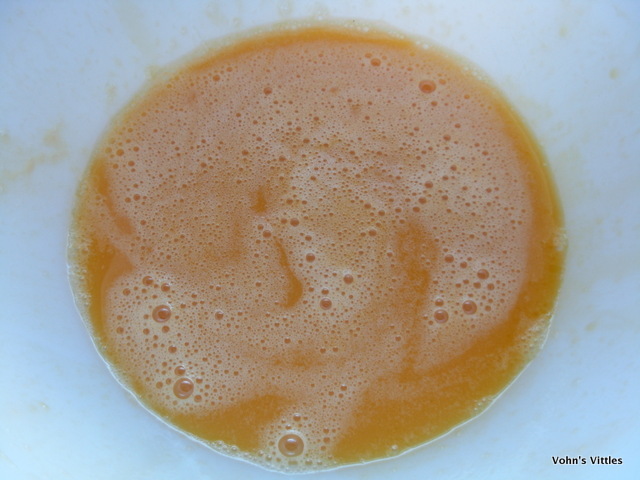 Beat together eggs and golden caster sugar. Then beat in the oil, one tablespoon at a time. 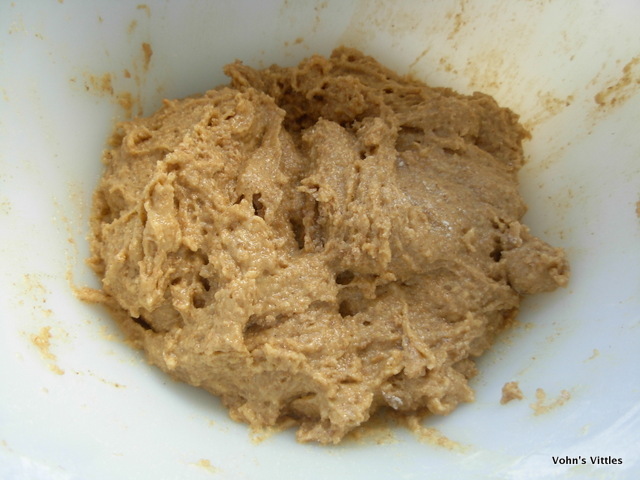 2) Sieve together flour, baking powder, bicarbonate of soda, cinnamon, allspice and nutmeg. 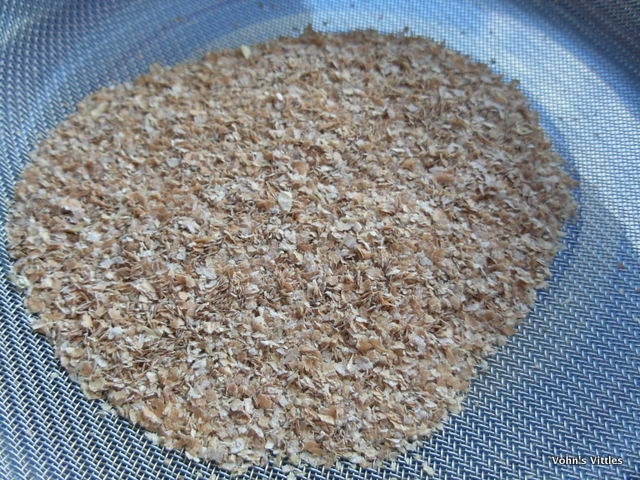 Save the remnants in the sieve to sprinkle over top of loaf before it bakes. 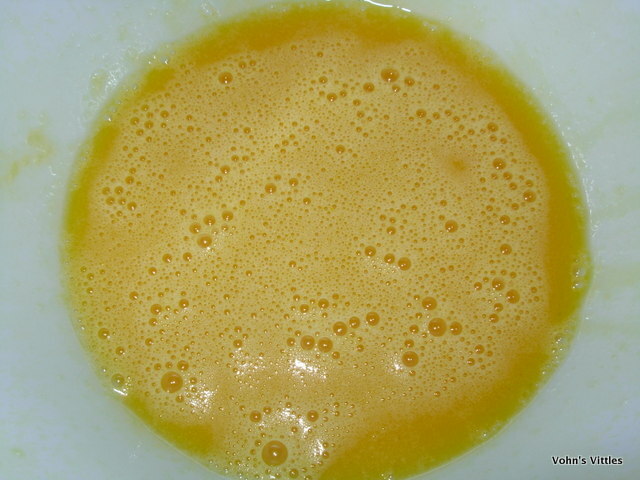 3) Beat flour mix into egg mix one tablespoon at a time. 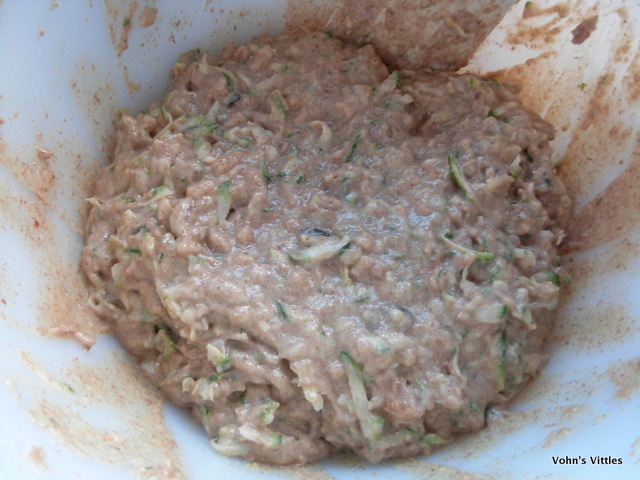 Then mix in the nuts, seeds and courgette. 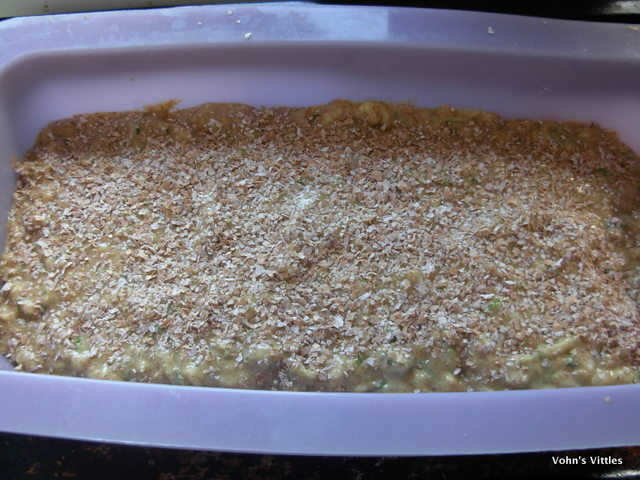 4) Spoon into a silicone loaf tin (if using a metal tin, you will need to line and grease it). If you like a very crispy top, sprinkle over the flour remnants left in the sieve. Bake your courgette loaf for about an hour until golden on top and cooked through (a skewer inserted in centre comes out clean). Allow to cool slightly and then turn out onto a cooling rack to cool further. Slice and serve. This Spiced Courgette Loaf is delicious served warm with lashings of butter melting on top. 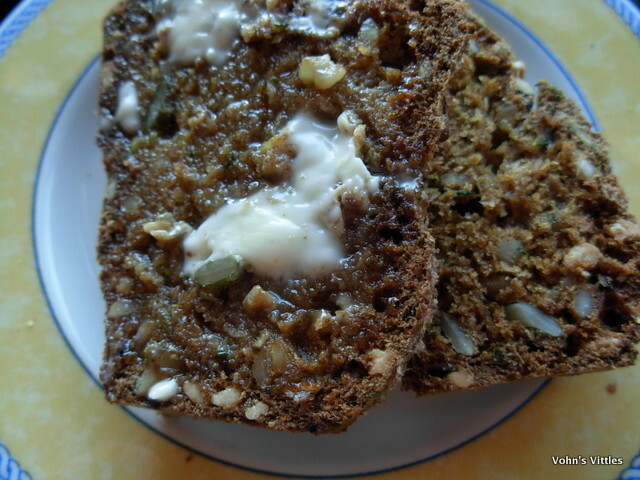 I also love having Spiced Courgette Loaf for breakfast to start my day full of flavour. 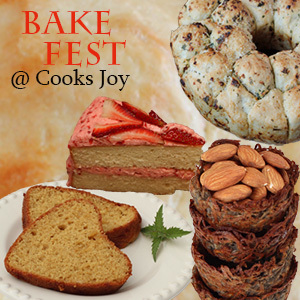 AlphaBakes run by Ros at The More Than Occasional Baker and Caroline of Caroline Makes. Caroline is hosting this month and the letter of the month is “P” for pumpkin seeds. Eat Your Greens run by Shaheen at A2K – A Seasonal Veg Table whose challenge is to use any green veg. Like me Shaheen is a great believer in eating seasonally, so courgettes are perfect for this challenge. Love Cake run by Ness at Jibber Jabber UK whose theme this month is any cake with savoury ingredients. 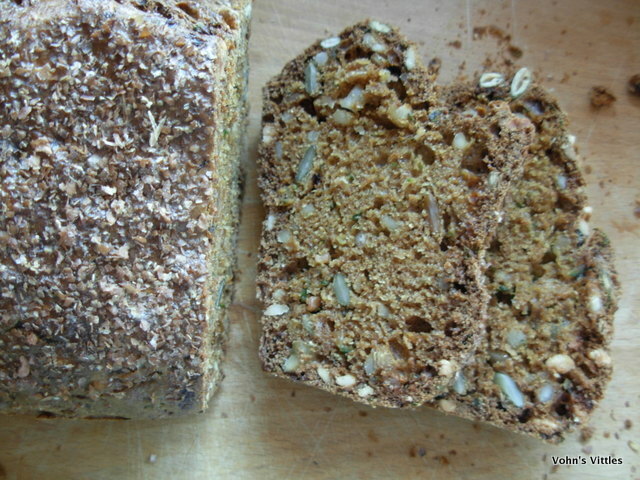 Perfect for this loaf which includes courgettes, nuts and seeds. Luckily Ness says she turns a blind eye to whether a bake is truly a cake or a bread, because I’m not entirely sure which this loaf is! 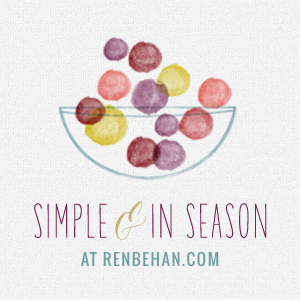 Simple and In Season run by Ren Behan and this month hosted by Elizabeth’s Kitchen Diary. 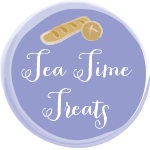 Tea Time Treats run by the very lovely Karen at Lavender and Lovage and Janie at The Hedge Combers. Karen is hosting this month and her theme is Picnic Food. I really enjoy this Spiced Courgette Loaf on a picnic with a flask of tea!